It’s 60 years after the end of the Holocaust, and somewhere in Geneva, Switzerland a woman is cleaning out her basement, when she comes across a suitcase she doesn’t recognize. She opens it, to find it packed full of World War II-era papers— more than one thousand official-looking documents. They’re written in French, on letterhead, and bear the seal of the government of El Salvador. Many have small identification pictures of men, women, and children. But, what are these documents? Why are these decades-old official papers, of a Central American nation, lying forgotten in a Swiss basement? As the world would soon discover, these papers are a window into an extraordinary rescue mission from the Holocaust era. And the story starts with the man who signed each of these documents: George Mandel-Mantello. In this episode we’ll explore the story of Jewish diplomat George Mandel-Mantello, whose bold actions both saved European Jews from Nazi terror, and alerted the world to Nazi killing operations at Auschwitz-Birkenau. Throughout the 1930’s, George Mandel, a Hungarian, Jewish businessman, was living in Budapest with his wife and son. As war broke out in 1939, Hungary was allied with Nazi Germany, and anti-Jewish restrictions began to threaten Mandel. But during his work as a businessman, Mandel had developed a friendship with the Consul General from El Salvador, Coronel Jose Arturo Castellanos, who in 1942 invited Mandel to work with him in the relative safety of Switzerland. Here’s Holocaust historian Edna Friedberg talking about how Castellanos got Mandel out. He basically came up with a fake title or a sort of creative title for him at the consulate there of “First Secretary” and at that point actually George Mandel, changed his name, or added this last name “Mantello” which sounds more Spanish or Italian. And so this Hungarian-Romanian Jew became nominally First Secretary of the consulate general of El Salvador at its representation in Switzerland. By 1942, the Nazis had expanded across Europe and the industrialized murder of Jews known the Final Solution, had begun. As it became harder to escape, people looked for another way to survive. George Mantello was approached by a group of Jews who wanted money in order to buy life-saving certificates. There were certificates to other Latin American countries that were being sold on a black market to offer either escape to Jews from Nazi-occupied Europe, or assumption of different identities and they appealed to Mantello, hoping that he could give them necessary funding. So with the consent and approval of his friend Castellanos, he began this operation to issue certificates that would testify that the bearers were citizens, holders of Salvadoran nationality, and to issue them to Jews all over Europe. These documents, they didn't provide escape, instead they provided shelter via a piece of paper. And it was a big operation. Mantello was issuing thousands of certificates, but he couldn’t do it himself. He hired university students to help type them up. They’re on official letterhead, it’s written usually in French, testifying that the bearer of the certificate is a citizen of the nation of El Salvador, and is entitled to all the rights and protections therein, and then signed by Mantello who put all of the official stamps and seals that he could find all over it to make it look like a very impressive document. Some were sent by diplomatic pouch, because this was the consulate general. They could use that. Others were sent by regular Swiss mail which was still functioning during the war, and some were sent by underground couriers. What happened if a certificate didn’t get to the person in time? So, these documents are being falsified and sent all over Europe. Wasn’t there risk involved for the people who were making them? The risk was in fact greater to Castellanos, who actually was putting in danger his official capacity. He had actually in 1939, written to the foreign minister of El Salvador basically sounding an alarm about what he saw happening to the Jews of Europe, and asking for permission to take action to issue more visas, to facilitate rescue groups and was told no. So, you’re probably wondering—how did the certificates work, exactly? Well, imagine that a 20-year-old Jewish woman in Vienna is confronted by a German officer who demands to see her papers. She presents him with a certificate that identifies her as a Salvadoran national. He could be thinking, “Well, that’s odd. Why is she here? Is this even credible?” The officer might not believe her, but at the same time, even if he does suspect the document is a forgery, he could face consequences for mistreating someone with a protected status. So he lets her pass. For more than two years, Mantello issued thousands of certificates to fellow Jews. After much research, we’ve been able to cross-reference records to see what happened to certificate holders during the Holocaust, and the evidence is startling. For example, close to half of all Jews in Belgium were murdered during the Holocaust, but in the same country, 90 percent of Mantello certificate holders, survived. Also, some certificate holders who were deported to concentration camps received less severe treatment, such as being allowed to wear their own clothes, or getting better food. So, as implausible as it may seem, these papers actually saved lives. But then in March of 1944, Germany invaded Hungary and neighboring occupied territories, including a town called Bistrita where Mantello’s parents and cousins still lived. Now, Mantello must use certificates to save his own family. He decided to send a Romanian diplomat named Florian Manoliu to personally deliver the documents, but Manoliu was delayed at the border for questioning by the Germans. By the time he reached Bistrita, he was too late. The town’s Jews had been deported only two days earlier, and taken to the Auschwitz killing center. After this grim discovery, Manoliu proceeded to Budapest, where Mantello’s wife lived, and delivered her life-saving certificate. When Manoliu returned from Hungary, he brought something back with him: a document known as the Auschwitz Protocol. The Auschwitz Protocol is the first, first-hand account of the killing operations taking place at the Auschwitz-Birkenau killing center. And the Romanian diplomat, Manoliu, gets a copy of this and he comes back to Geneva with this very detailed testimony from two escaped prisoners of Auschwitz and delivers it to Mantello along with the heartbreaking news that he was too late to rescue his own parents. Mantello takes it upon himself to publicize this document. He engages the help and support of members of the Swiss Protestant clergy and they begin making sermons about this, talking to journalists about this. The first article appears, 1944, in The New York Times detailing the mechanics of the killing machinery at Auschwitz. Prior to this, since November 1942, newspapers all over the world had published facts about Nazi mass murders, but the Auschwitz Protocol gave explicit descriptions of the gas chamber murders. Mantello not only is the driving force behind one of the largest rescue efforts of the entire Holocaust, but also channeled his own personal pain and feeling of failure into something much, much larger trying to alert the world. When you think about all the stories in Holocaust history, what makes the Mantello rescue story stand out to you? So there are two elements that make this rescue story particularly noteworthy. One is the sheer scale of it, the fact that we are talking about thousands of people. But the second part is that George Mandel-Mantello was, himself, a European Jew at the time, and I think it is a very vivid reminder to us that Jews were not passive actors during this period of history. 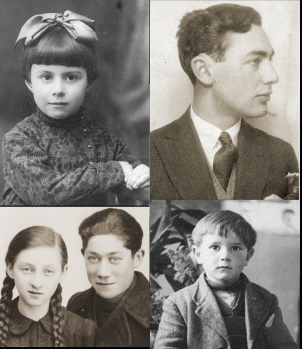 That despite the incredibly intense and circumscribed circumstances in which they found themselves, that Jews found ways to act despite their predicament, tried every creative way they could to save themselves, to save others, to defend their dignity. And I think it is really too comfortable, and too common to flatten out our perception of Jews and think of them just as victims, and forget that these are human beings. These are multi-faceted human beings with opinions, with skills, with bravery, with fear, with all of the elements that make them human and they are much more than the sum total of what was done to them. And, what do you think the Mantello rescue story tells us now? Delving into the Mantello rescue story is a reminder to us that it is never, ever too late to act, and that a single person can take action. This is a man who is issuing certificates into the very last months of the Nazi assault on European Jews, and if he managed to save even a single person who otherwise would have been murdered, I can't think anyone among us would say it wasn't worth it. So, I find myself troubled, in the best sense of the word, by this story because it reminds me, for example, that we have just entered the eighth year of the atrocities in Syria, and it is so easy to become numb to that kind of news, to feel like that's just a place where terrible things happen, because as long as there's someone who is still in dire straits somewhere, it doesn't matter how many people have already died, or how many people have already fled. It’s still going on. The second is about things like bureaucracy and official structures. As much as we as average citizens tend to see them as impediments, there are many cases where they are opportunities, and they can be used for good. They're not always roadblocks. They can also be humanitarian weapons and in the service of something bigger than ourselves. Colonel Castellanos’ family, the government of El Salvador today, the people of El Salvador today, are justifiably very proud of this model of what a diplomat, in the right place or the wrong place at the right time, could do in a time of crisis, and I think that offers a very significant inspiration for what diplomats today could do if they are in a position of power, a position where their signature or their official stamp can mean the difference in the entire fate of a human being. After WWII, George Mandel-Mantello settled in Rome, and passed away in 1992. In 2010, Castellanos was posthumously declared Righteous Among the Nations by Yad Vashem, Israel's World Holocaust Remembrance Center. He’s the first Salvadoran to be given this honor. And, remember that forgotten suitcase that contained thousands of certificates? It turned out, the suitcase belonged to George Mandel-Mantello’s late lawyer, who’d kept copies of the documents tucked away. They were returned to Mantello’s son, Enrico Mandel-Mantello, who donated the entire collection to the US Holocaust Memorial Museum, because he felt that by making these documents available to everyone, they become alive. He also donated a copy of the Auschwitz Protocol. 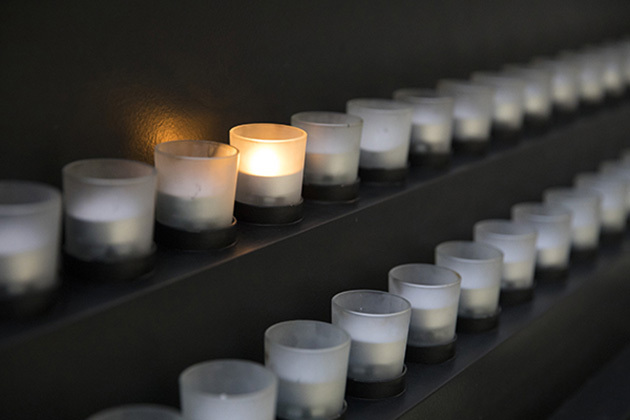 You’re listening to 12 Years That Shook the World a podcast from the United States Holocaust Memorial Museum, examining the impact of the Holocaust, both then and now. This has been a conversation with Holocaust historian Edna Friedberg. We offer a special thank you to Museum’s Chief Acquisitions Curator, Judith Cohen, whose research made telling the story of the Mantello Rescue possible. We hope you’ve enjoyed the episode, and we’d like to hear from you. What did you think of the show? And what questions do you have about the Holocaust? Send your comments via email to podcast@ushmm.org. Or talk to us on Twitter. We are @holocaustmuseum. For more information about the Holocaust, visit our website at www.ushmm.org. The music used in this show is by Kai Engel, Borrtex, Kevin MacLeod, and Chris Zabriskie. Thanks for listening. And if you enjoyed the show, please subscribe wherever you get your podcasts. Music credits: “Rainfall Serenade” and “Scenery" by Kai Engel; “Floating,” “Feeling,” and “Memoir of Solitude” by Borrtex; “Clean Soul” by Kevin MacLeod; “I am a man who will fight for your honor,” “Land on the Golden Gate,” and “There are many different kinds of love” by Chris Zabriskie.